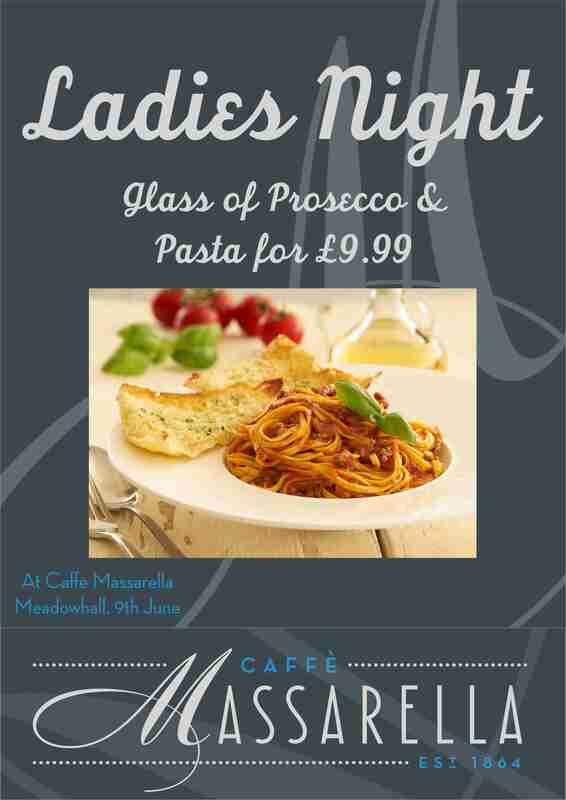 Joins us on 9th June in Caffe Massarella, Meadowhall for the Ladies Night event and enjoy a glass of Prosecco and Pasta for £9.99! After all, girls just wanna have fun! If the stress of studies is getting you down then pop on over to Caffe Massarella, Atkinsons and enjoy 20% off your bill as a student!